Best time to visit: Spring, winter or fall on cooler days. 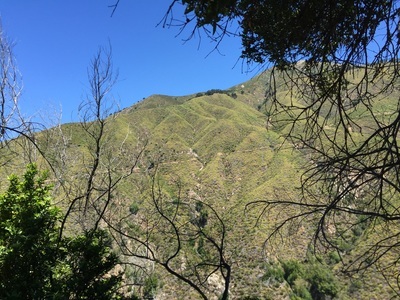 Do not attempt on a warm day. 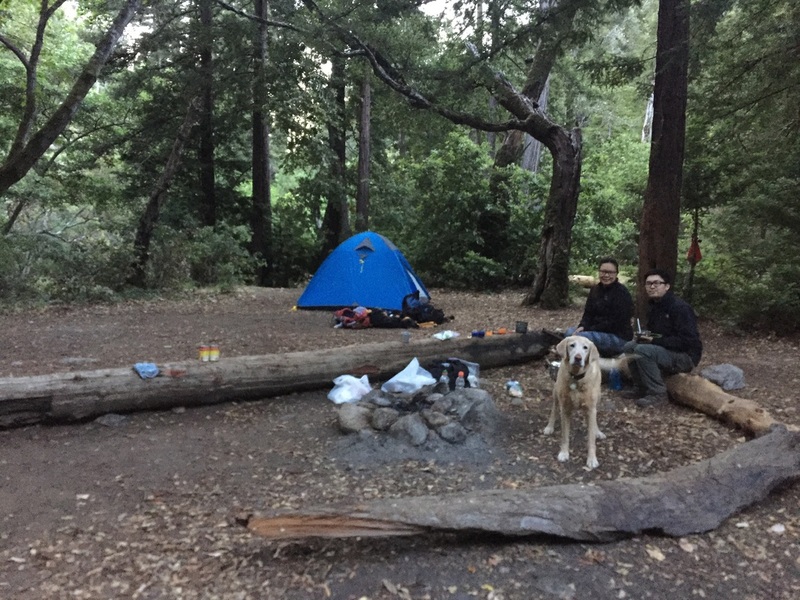 Description: This was my first backpacking/camping trip, and it was strenuous but scenic and fun. 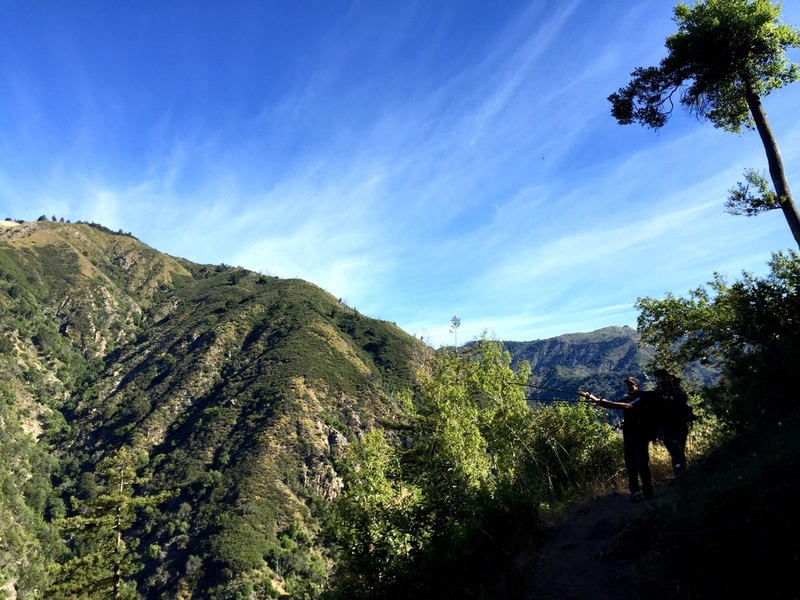 We hiked to the first campsite, Ventana Camp, about 5 miles in, camped by the water, and headed back down early in the morning. 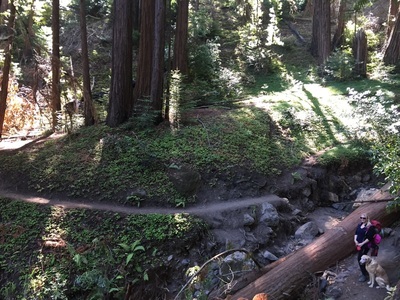 The trail begins snaking through redwoods along a shaded trails, and across a stream. 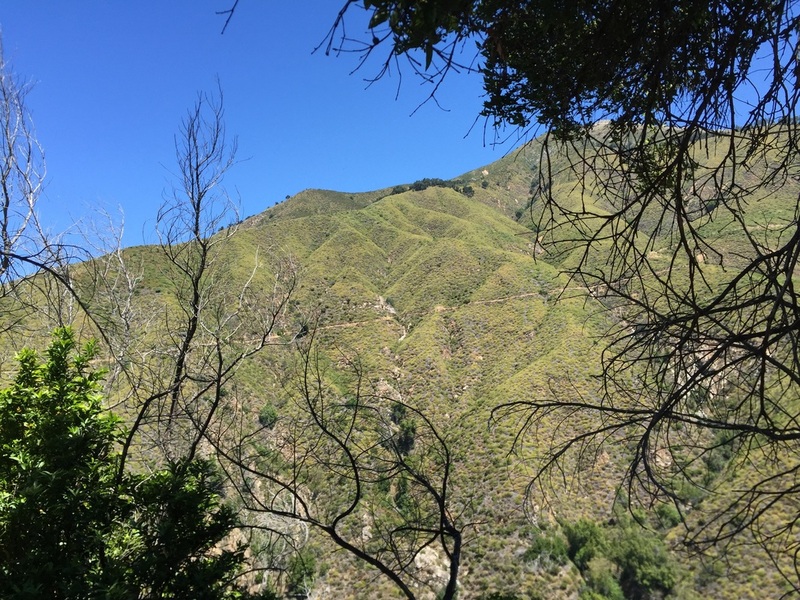 Then it starts climbing upward, and the rest of the hike is mostly in direct sunlight. 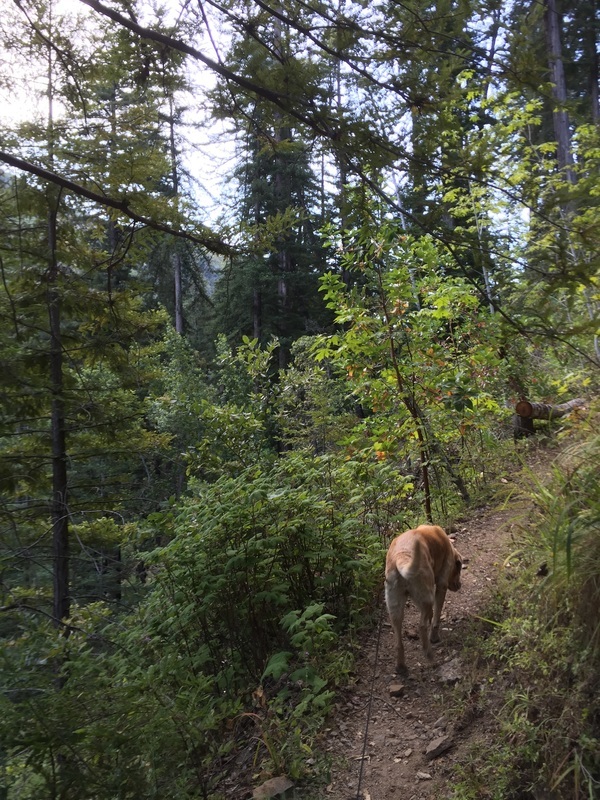 It was not a very hot day when we went, and we got an early start, but the direct sunlight made the trails very hot. 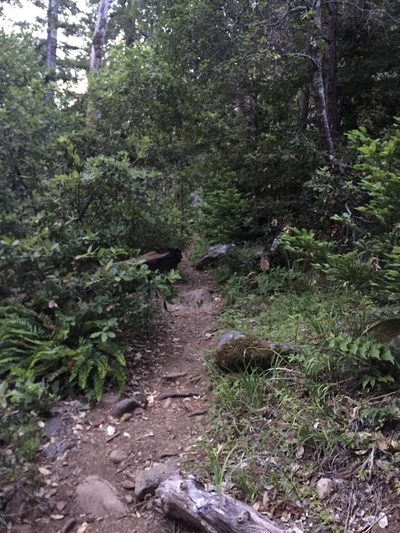 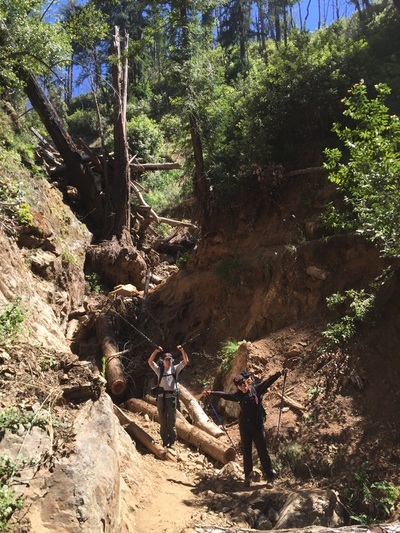 Some of the trails were very narrow along the ridge, and parts of the trail were washed out or had fallen trees or other difficult obstacles. 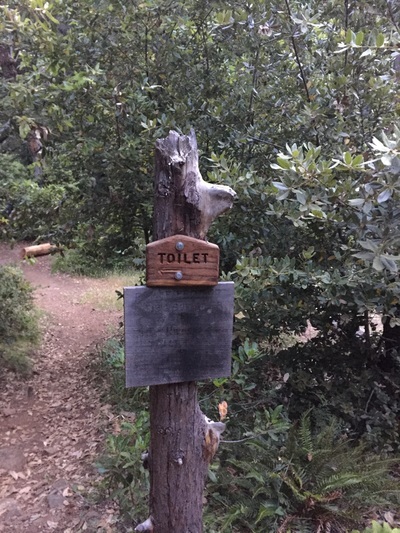 Once we saw the sign for camp, it was about another mile hike down to the actual camp. 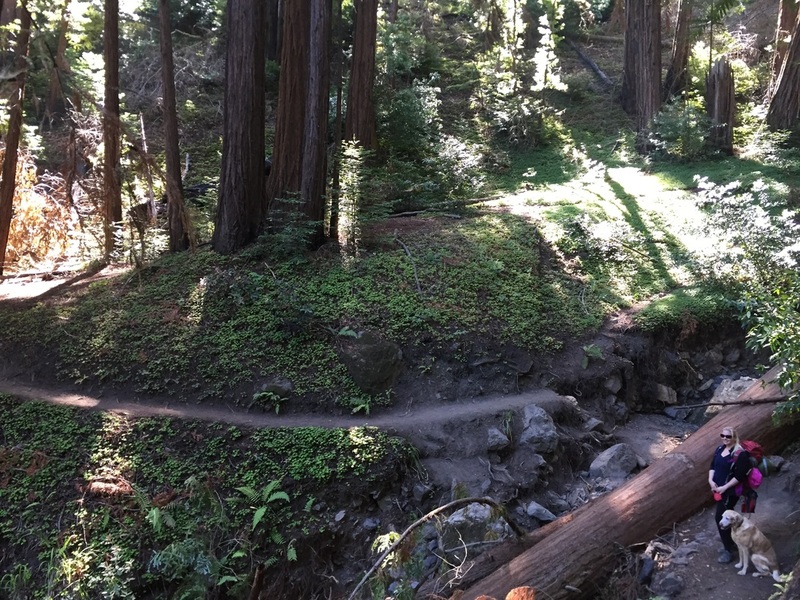 We had a large campsite and were able to listen to the soothing sound of the creek all night. 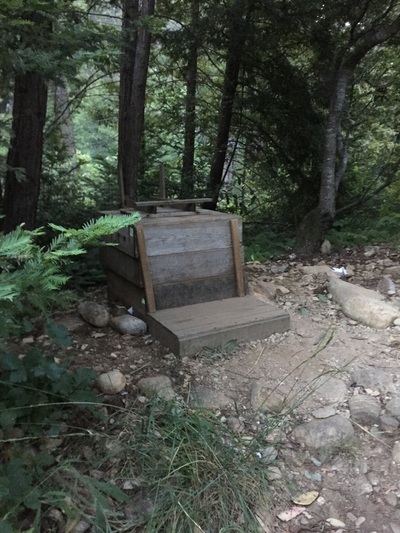 A pit toilet was available at the campsite, but no other amenities. We did not encounter any wild animals. 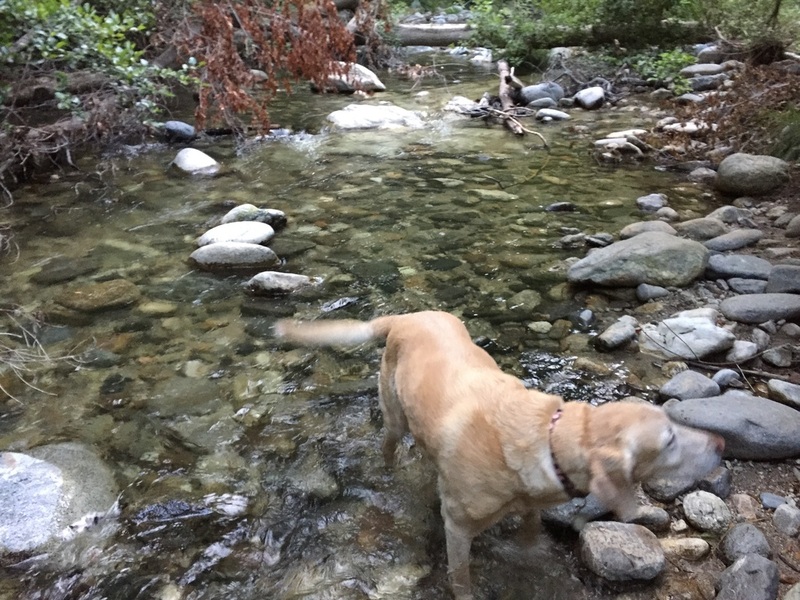 We started our hike out very early in the morning, but around 9AM, the trails became very hot again and some dogs did a “dance” on the trail and you could tell their paws were burning. 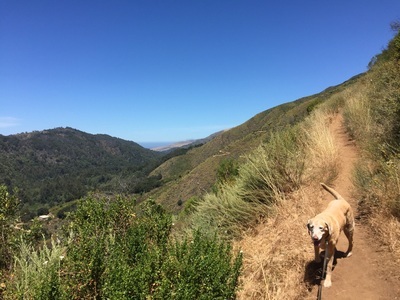 We saw several people hiking up who came back down, one even carrying her dog because of the heat. 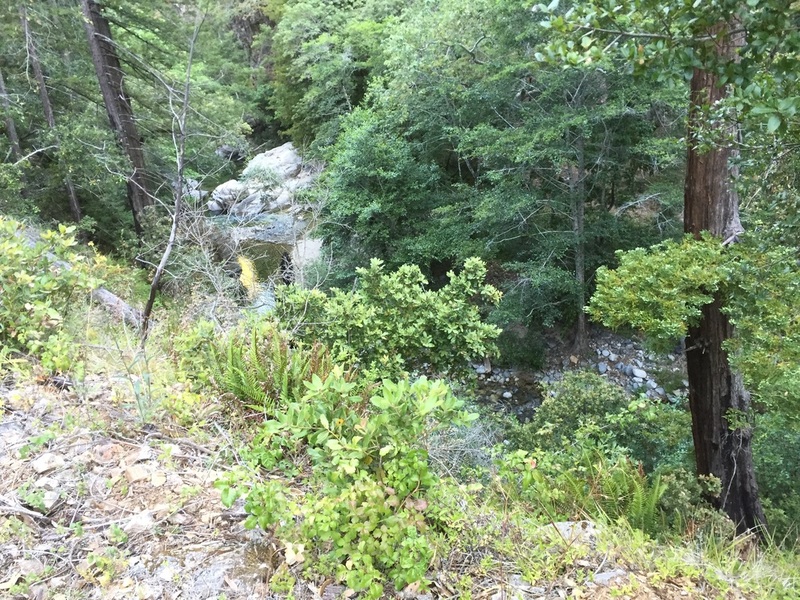 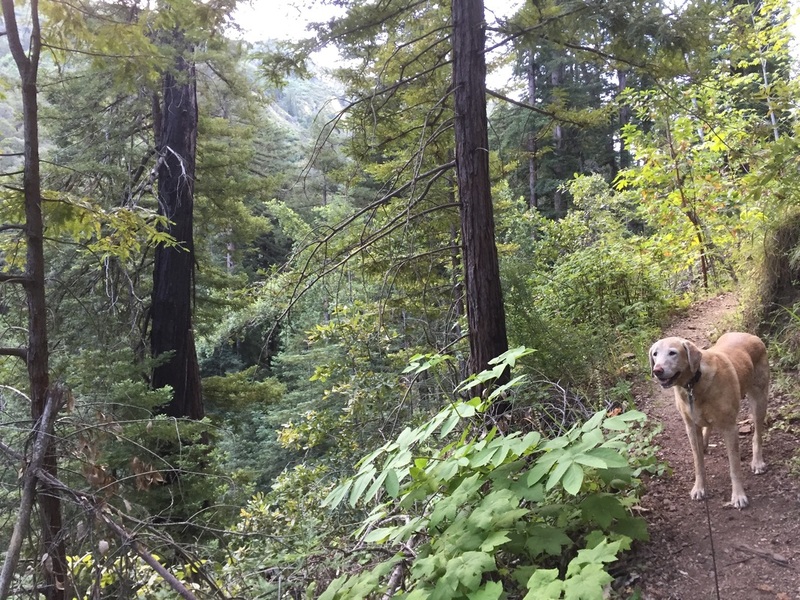 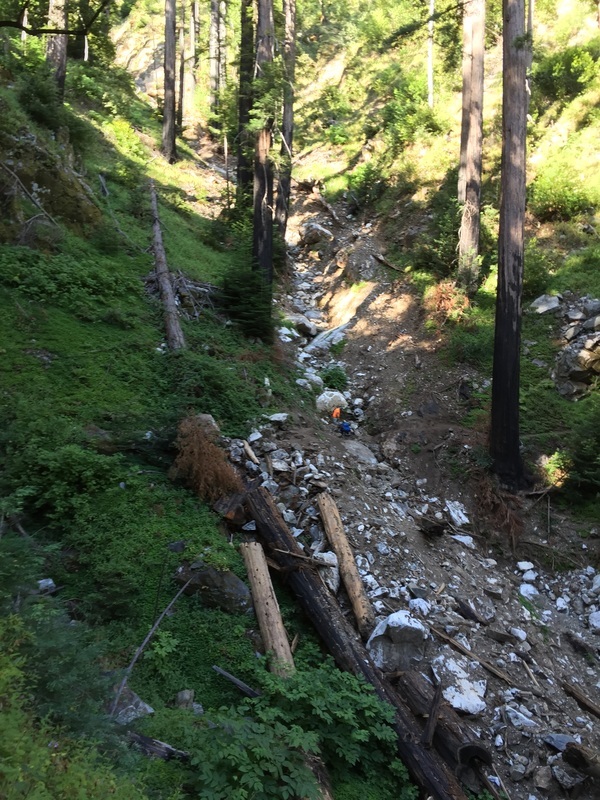 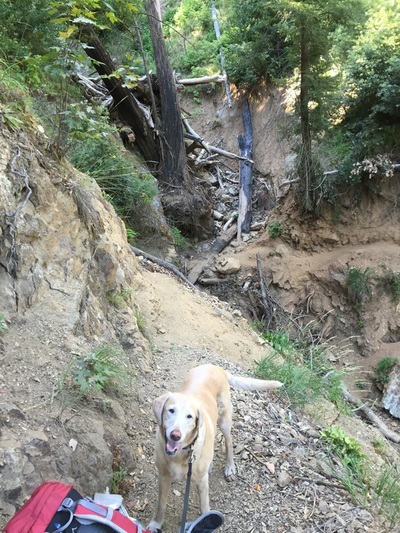 This is not a hike to attempt on even a moderately hot day, and if you plan to hike to Sykes Hot Springs with your dog, I’d play it safe and camp at Ventana, Terrace Creek, or Barlow Flat the first night, allowing 2 days to get there. Camping is free within the park and does not require a permit, unless you plan to use a stove. Fires are not permitted. 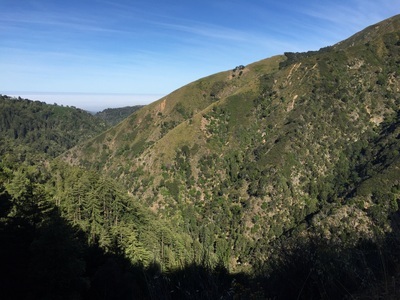 There are restrooms and running water at the Big Sur visitor center, but no water along the trail until you reach a campsite. 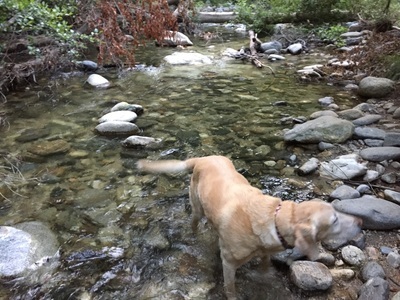 Bring a lot of water for you and your dog, and a water filter for extra water at the campsite.